So, we finally get to see the big-bad, Zoom, in action in last night’s episode of The Flash. I have to say, it went better than I expected, with this episode being a pretty strong one all around, with only minor knit-picks. Spoilers ahoy! 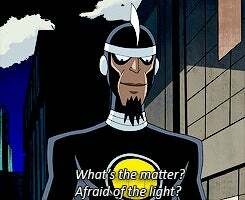 We open to a fight scene between Flash and Doctor Light, in which Light takes out the flash and steals his emblem, before we jump to ‘72 Hours Earlier’. We see Flash interrogating Doctor Light in her cell in the pipeline. Because that’s a thing again. Yeah. Anyways, she does the whole I’m not a killer speech, but she would have killed her Earth-1 counterpart so that Zoom finds her and thinks she’s dead so he’d leave her alone. Flash gets a better idea to get Zoom off her back, set a trap using himself as bait and her as his accomplice. Barry then explains this plan to the team. Wells mentions that he was working on something that could slow down a speedster, and if Cisco could weaponized it then they would have an advantage over Zoom. Caitlyn is (understandably) not on board with this idea. Wells states that they’d have the element of surprise on their side as well. (Because that ALWAYS works.) Barry is on team Wells, Cisco and Caitlyn are against. They turn to Joe for a tie-breaker. Joe says he’s for, as long as Wells can deliver. Sidebar between the Flash team minus the Flash: None of them trust Wells, guessing (correctly) that he’s hiding something. Joe says maybe if they give him enough rope that he will hang himself with it. (How does that saying go? Once a noose is made it can fit one neck as easily as another?) Joe suggests Cisco trusts his vibes. The foreshadowing is strong with this one. Joe enters the precinct to find Patty waiting to talk to him about the Doctor Light case, which she believes to be unresolved. Joe tells her it’s closed, but refuses to elaborate. Barry enters the scene as Joe leaves. Patty tells him how Joe “shut her down in a big way” and wonders if it’s because of their blooming romance. Barry denies even telling him, but will talk with him. Patty declines the offer, saying she will talk to him because there should be “trust and communication” between partners. More cute flirting. I have to say their have much better chemistry on scene than Iris and Barry ever had, and I’m liking it. Speaking of Iris, we then see her and Linda Park talking about the showdown that happened, and Linda asking if Iris had heard from the Flash about the Meta that killed Larkin. Linda wants to talk to the Flash about it, thinking that she could help. Iris assures her, the Flash has everything under control. 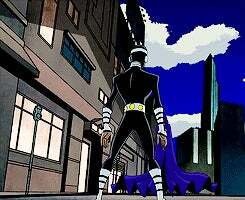 Doctor Light’s clothing and gear is stashed in a pile in the cell. Cisco does not call for backup and immediately opens the cell to investigate. Needless to say, that was a mistake. An invisible force rushes past, knocking him out of the way. Then Cisco triggers the alarm, but it’s too late as their security system is not responding. Flash arrives too late to chase her down. Arguments break out. Wells wanted to sedate her, knowing she was dangerous. Barry though he convinced her to turn to their side and help. Joe reasonably steps in and says assigning blame is pointless. (Personally I’d blame Cisco for not following Peter’s Rules, but that’s just me.) Anways, they’re still working on the dampening agent to take down Zoom. Sounds like a hybrid of what “The Arrow” used on the original Zoom and what Wells had on his Earth. I can feel the hatred through my television at this point. Joe points out that they don’t even know if it works, and maybe Doctor Light escaping is the Universe stopping them (which, seriously, gave me HIMYM flashbacks) from continuing with this plan. Wells insists on moving forward, and ending this “scintillating staff meeting.” Barry sides with Wells, saying to keep going. Joe and Barry have a quick one-on-one about what’s happening. Barry is stressing out over capturing Zoom. Joe is worried about Barry. Barry says he knows what he’s doing. Arguing, no resolution. Joe says they should find Jay. Barry quotes Joe’s words back at him, about how sometimes you can’t just play defense, sometimes you have to play offence. Cisco attempts to fool Wells into letting him get close by offering congradulations on Wells’s work with the dampening agent in order to get a vibe off of him. Wells sees through it in an instant. Wells sees through it instantly, asking what Cisco vibed about him, saying that there’s nothing to hide, but if Cisco has any questions to ask them. Cisco tells Caitlyn he wasn’t able to see anything; Caitlyn insists that he should keep trying. She points out that she thinks something happened between Wells and Zoom that made this personal. We have another of Well’s Flashbacks, in which we learn in his world the “Arrow, formerly known as the Hood” of his world was unmasked as billionaire Robert Queen, who was marooned on an island after a tragic shipwreck that resulted in the death of his son Oliver. Back on topic, we see the news of the above interrupted when they get the breaking story of a Meta-Human attack on Central City College at the Science Building. Wells tries and fails to get ahold of Jessie. He sees his face on the iPhone in the footage, and realizes she was the focus of the attack. Barry goes to Iris’s place to see her and Linda. Linda asks Barry if she’s still in danger from an attack by Doctor Light. 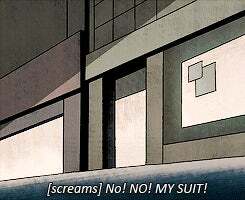 Iris makes a joke about “If Linda had Doctor Light’s powers right now…” and dramatic music plays. (Literally, the subtitles say “[dramatic music]” when I watched on Hulu.) Barry comes to the conclusion they can move forward with their plan using Linda instead of Doctor Light, but then thinks it’s too dangerous. Iris suggests to let Linda decide. She brings Linda to STAR Labs where she’s greeted by the Flash saying he needs her help. Cisco and Joe are setting up a course with cardboard cutouts of the team. Linda is set up with gloves Cisco created that replicated Doctor Light’s powers and the course is to get her used to using them. She will even have to use them against Barry, to ensure their functionality. FOR SCIENCE. Barry is also using his echo-y disguise voice again for Linda. “Rock and Roll Rave” by The Preatures starts playing as we get the not-quite-montage of Linda getting use to the gauntlets. Which takes less time than you’d think. The teams discusses (way to briefly if you ask me) if Linda can pull this off based on her performance, they find the location where they can set the trap, and check the progress on the speed-dampener. 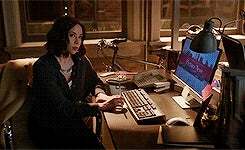 Return from commercial with [suspenseful music] this time as Cisco and Wells are working at the lab. Cisco thanks Wells, as an excuse of offering his hand to shake. Wells sees through it and simply says “you’re welcome.” Cisco tries even harder to touch him to get a vibe, which angers Wells. Cisco finally succeeds in getting a vision, but it’s not what he expects. He sees Zoom interrogating Jessie about why Wells went to Earth-1, and it ends in screaming on Jessie’s part. He comes out of the vision and apologizes to Wells. But doesn’t tell him what he saw. Patty confronts Joe about his claim that the Doctor Light case is closed, stating that she’s still on the loose after killing a man. Joe doesn’t tell her why, but says he needs her to trust him. Patty points out that while she trusts him, it’s obvious he doesn’t trust her enough. We see Linda awaiting the Flash’s arrival, who they make clear is Linda dressed as Doctor Light by Caitlyn and Cisco commenting on her over acting. Flash appears and they both over act their part and interrupted with whispered comments to eachother. [Dramatic music] plays and we see Linda is still pretty inaccurate with her blasts, but the Flash acts like she really got him. (I hope Zoom doesn’t have a live feed of this.) Then she really gets his a few times before he collapses over dramatically. She takes the emblem off his suit and tosses it into the wormhole afore more hushed whispers. We then see that both Joe and Wells are situated to snipe Wells when he comes through the wormhole. (Is nobody going to question why they think Wells would be a good shot?) After a prolonged delay, in which everyone appears bored, they seemingly give up. Everyone is disappointed. Joe and Barry take another side conversation (without taking off their comm devices it looks like) and Barry admits that it is a bit about the Reverse Flash, but because of the message Earth-1 Wells left about how he still won because Barry could never be happy. Barry admits that he has felt a void since he went back in time and didn’t save his mother. Joe reassures Barry that he can find happiness, and that Wells didn’t know Barry as well as he liked to think he did. He says that Barry can find happiness, if he tires. Barry then goes to see Patty, and after the awkward flirting is over with, he kisses her. Because getting to know her is what makes him happy, and he says as much. Iris congratulates a job well done with an offering of a beer to Linda. (Which I think is the right way to go.) She says she wants to keep the gloves, and that what happened was the “best story [she] can never write.” Iris relates to that. As Linda leaves, Zoom appears and we hear [ominous music]. Iris notices since she’s 10 feet away and a glass door is all that separates them. Zoom dangles Linda over the edge of the roof, before actually dropping her. Flash saves her by running to the ground and using his speed to create a tornado(?) or something that helps her land slowly to the ground. Flash tells her to run as he faces down Zoom alone. 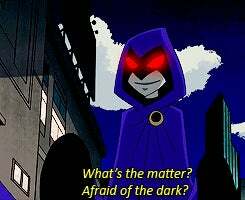 More [ominous music]. Barry runs really fast and attempts to throw lighting at Zoom. Zoom grabs the lightning and throws it back at him. Wells says that he’s not alone and gears up to shoot serum at him. Cisco and Caitlyn over geek out and explain The Flash’s plan, which is not to match Zoom in speed, but to get them equal at “terminal velocity”. They fight it out on the ground, after getting a moment of ‘terminal velocity’, before Wells gets a shot in. Zoom catches the shot and stabs it into the Flash. [Groans] [Electronic Beeping] “He’s killing him!” Zoom says Wells is next and zooms away with the Flash. He then does an impromptu press conferences where he says the Flash isn’t a god, then at the police precinct he says the Flash’s days of protecting the city are over. They open fire to no results, as he drops all their bullets to the floor. Then he returns to STAR labs to confront Wells, asking if he really though that Barry, who he unmasks, was really the way to defeat him. Zoom says he’s made a costly mistake, as he stabs The Flash with his fingertip. Cisco, cool and semi-collected, shoots Zoom while he was monologue-ing (also another of Peter’s rules, seriously, doesn’t anyone read that?) Zoom escapes. The team is in disarray as Barry is fighting for his life. Cisco tries to calm the situation by asking Wells about Jessie. Wells comes clean about the situation, clearly stating that he’s not doing anything on Zoom’s orders, but that the only way he gets his daughter back is by capturing Zoom. 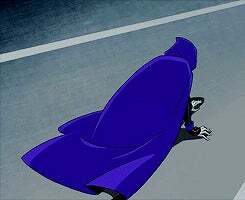 Wells walks off to more [dramatic music] believing his was wrong about being able to bring down Zoom with The Flash’s help. Barry comes to, first asking about Linda-who is okay-and then asking about Zoom, who got away. 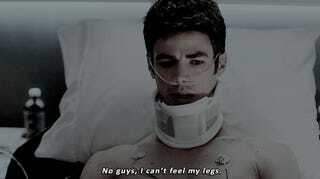 And that’s not the only bad part-Barry can’t feel his legs. When do we get to see Jessie Quick in action? No mention or sighting of Hawkgirl, AKA Kendra who Cisco was supposed to have a date with. Here’s the preview of Episode 7: THE RETURN OF GRODD!